Most of your customers now say they prefer electronic bills to paper ones. This is great news–provided you make the most of the opportunity to strengthen the customer relationship. More and more customers are going to their keyboards instead of their mailboxes to collect and pay bills for their homes and businesses. In fact, a majority of customers who have at-home Internet access now say they actually prefer electronic billing to the old paper-based way of doing business, according to the April 2007 Consumer Bill Payment Survey, conducted on behalf of e-billing vendor CheckFree by Harris Interactive and the Marketing Workshop. 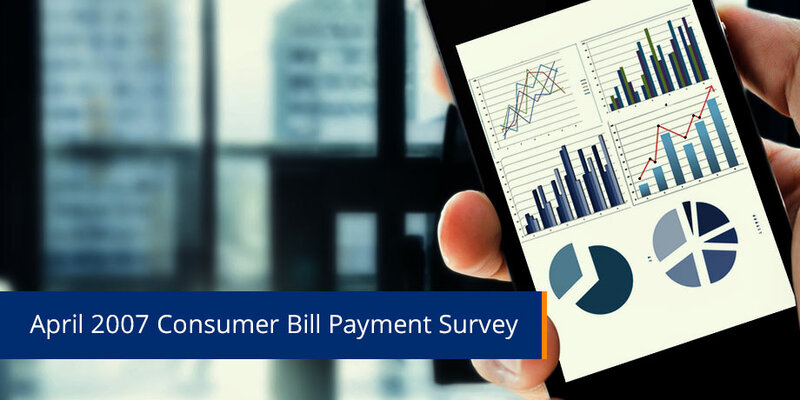 For the first time since CheckFree began sponsoring the survey in 2002, the volume of online e-billing activity exceeds the volume of paper bills paid by households that have Internet access. More impressively, customers using consolidated billing services are 39 percent less likely to switch to a competitor. “It increases the lifetime value of customers by raising satisfaction and preventing churn,” says Lori Stepp, CheckFree’s managing executive of e-bill adoption services. Consumers are also attracted to the fact that e-bills are greener. (See “A Green Light for Marketing,” in CRM Magazine, June 2007.) Javelin estimates that if all bills were viewed and paid online, the nation’s landfills would be spared 800,000 tons of solid waste per year–about 18.5 million trees–and some 2.1 million tons of greenhouse gases would not be released into the air. E-billing is nothing more than the replacement of a traditional paper bill by some form of electronic bill delivered and processed via an online site or email. It is often called electronic bill presentment and payment (EBPP). The pull model requires the customer to log onto the Web site to view an invoice before authorizing payment. The push model presents the invoice in an email and allows the customer to authorize payment using a button embedded in the message. Because it does not require log-in, push minimizes the cost and overhead of helping customers when they forget their usernames and passwords. Either way, the bills are paid by credit card or, to reduce the potential for fraud, by draft through an automated clearing house (ACH) that handles the transaction processing. Both methods also include all the things that customers would expect to find in a paper bill: the invoice, company and regulatory data, and information on other company services and offerings. So e-bills still provide the upselling opportunities that used to share envelope space with mailed bills. Make no mistake: Even as consumers embrace the security, convenience, and earth-friendly assurances that e-billing affords them, billers do enjoy significant cost savings over paper-based billing, particularly when the value of customer relationships is factored in. One of the country’s few remaining family-owned, independent telecommunications companies, began using e-billing in January to reduce costs and promote efficiency. The company’s customers include businesses and residents in seven rural exchanges in southern Georgia; many of those customers also subscribe to its dial-up Internet service. Cut-offs not only make for unhappy customers, they cost the Telco money to process cut-off notifications and to restart the service when the customer does pay. It therefore wanted a system that allowed customers more convenience in paying it. Furthermore, many customers did not like the prospect of giving credit-card information over the phone. The Telco evaluated e-billing options for two years before choosing an email-centric solution from Striata, a global digital communication specialist. Because Striata’s solution presents the bill in an email document, allowing customers to authorize payments directly from that document, it does not require customers to use the Web as other solutions do. That was critical to the Telco’s ability to win customer adoption because few in its rural customer base have broadband access. The company did not want people opting out of e-billing because they had to wait for a rich Web page to open. Since the Telco implemented e-billing in January, about 15 percent of its customers have opted to replace paper with e-bills. “We’ve really had a lot of positive feedback from customers–both residential and businesses,” the customer service manager says. He estimates it has saved the company at least $2 per bill. BillTrust, a provider of comprehensive outsourced corporate billing services, estimates that a company’s out-of-pocket “cost of getting paid” runs as high as $2.25 for every paper bill sent. That includes about 60 cents in paper, printing costs, envelopes, and postage; an estimated 15 cents in wages and benefits paid to the employees who work to mail them out; and 50 cents to $1.50 per bill for return handling, posting payment checks, and taking the money to the bank. That does not include equipment costs for such things as printers, postage meters, and folding machines to perform the mailings, nor does it include the impact of Days Sales Outstanding (DSO), the number of days between the purchase and the day the biller gets paid. The longer the DSO, the more the biller is forced to pay for its own operating costs out of current cash flow. There are also costs for customer service, fraud detection, and dispute resolution when a customer questions the bill. Gartner estimates that the cost of resolving a disputed charge can run as high as $20. Finally there are the hard-to-assess losses when recurring billing problems drive customers to the competition. With e-bills there is also reduced opportunity for human error and fewer disputes over whether a payment was really late or the amount paid was inaccurate because customers receive confirmation of their payments online at the time they pay the e-bill. Customer service becomes largely a function of self-service. “Every merchant has a different lifetime value to the customer and a different number they can assign to retention,” says Stepp, the CheckFree executive. One of the key challenges on the biller’s side is to acquire, store, and maintain customers’ electronic addresses. This can be daunting for companies that want to integrate new and existing customer data with legacy systems that lack necessary fields for adding and updating the information. According to Cundiff, it’s one of the reasons why e-billing has more readily been adopted in the B2C space than in the B2B market. “There are ingrained processes in B2B that are a lot more difficult to evolve,” Cundiff says. “The question is, ‘How do I migrate from paper-based invoicing if I’ve been doing it for 40 years?’” For example, companies that want to keep consolidated records in account histories are often reluctant to dispense with paper files. Any transition to e-billing requires customer service and accounting personnel to check both paper and electronic records when a question related to account histories comes up. Striata recommends best practices for capturing and updating customer email addresses. They include identifying all customer touch points and using a short script for all customer interactions. Customers are not only asked for their email addresses, but also for permission to communicate via email, and whether they would like to receive a sample e-bill. The sample bill, sent to the customer to verify the address, includes a push button that enrolls the customer for e-billing. Customers can also be asked for additional information like mobile phone numbers and permission to communicate via text messages. Text messaging can be used to great value in integrated electronic communication programs. Here, again, the challenge resides in how to integrate information from these channels with existing CRM and enterprise accounting systems. Rather than building in-house solutions, many billers opt for business process outsourcing (BPO) with companies like EDS or Convergys that specialize in services, including e-billing, for the B2B market. E-billing alone isn’t the end of the self-care question. Companies have to decide precisely how much Web-based customer self-care they wish to provide. With self-care you need a knowledge base–and the more self-care that’s provided, the bigger the required knowledge base. Retail sites often add channels to open live conversations with an agent. Telecom companies often add buttons and features that enable customers to quickly resolve disputed charges. And, although it typically requires a complex process, e-billing systems (whether installed internally or provided on an outsourced basis) can also be integrated with a company’s enterprise CRM or accounting system to build account histories and provide all employees with the same views of the billing account that the customer sees. “Certainly, billing behavior and transaction history is of high value from a CRM standpoint,” Cundiff says. “It’s very important to provide historical information to individual customers.” Bills can also be integrated with other business processes to become selling tools. And that’s something every company wants to take to the bank.